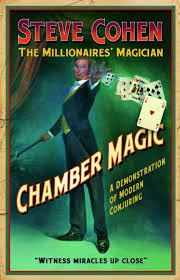 In a bombshell scoop, Bud Fox News has discovered that Steven A. Cohen, the once mighty hedge fund titan, has taken up moonlighting as a magician for the wealthy. Billing himself as the ‘Millionaire’s Magician’, Cohen has developed an impressive following among his peers. “He’s every bit as maniacal about this as he is about stock picking”, says wife Alexandra Cohen. He even has a website to shamelessly promote his alter-ego and sell tickets to the show. After ‘magically’ generating abnormal returns year after year at SAC Capital, Bud Fox News readers will no doubt be familiar with poor Stevie’s demise on account of rampant insider trading and securities fraud. With those revelations, Mr. Cohen pulled another magic stunt: making about $6 Billion disappear. But he is now hoping to put all that behind him while taking those magic skills in a new direction. Drop by the Waldorf Astoria in New York City on any given Friday or Saturday night and you’ll find Steve honing his skills on the Vanishing Coin, Cabinet Escape (he perfected this trick with the Justice Department), Bullet Catch, the Sub Trunk, and the Indian Rope Trick (which he learned from pal Raj Rajaratnam). 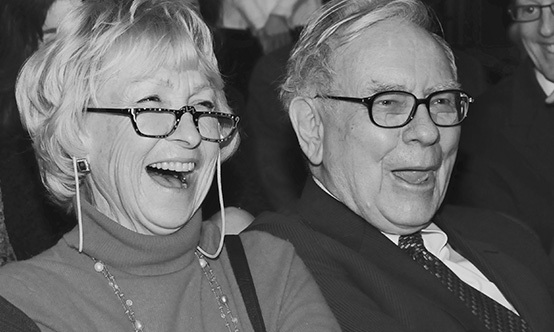 Buffett and the Mrs. reacting to the ‘Squeeze Box’. This entry was posted in Business & Finance and tagged Steven A. Cohen. Bookmark the permalink.